Now through November 21st, you can use free entry code TBXYVFFWCRRP to play the Taco Bell Xbox One X Instant Win Game without purchase. 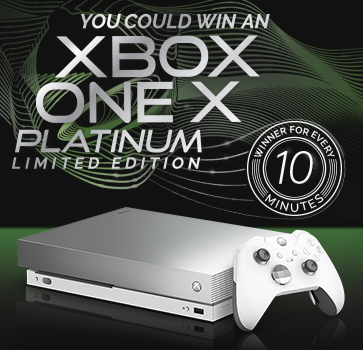 A total of 5,040 lucky entrants will win a Free Xbox One X Prize Pack ($599 value). With a new winner EVERY minute I think your chances are pretty good.